Founder of anti-Brexit campaign For Our Future’s Sake Jason Arthur has said that the People's Vote March was about preventing the UK from becoming "poorer and more isolated". Mr Arthur told talkRADIO: “It is a huge decision that is going to affect our country for decades. “So we are here marching today at the front of the People’s Vote March because we want to make sure that young people’s voices are heard. “We are marching for jobs, we are going to be marching for the protection of workers’ rights, protection of environmental standards. 100s of coaches, 1000s of journeys. Hundreds of thousands of people. 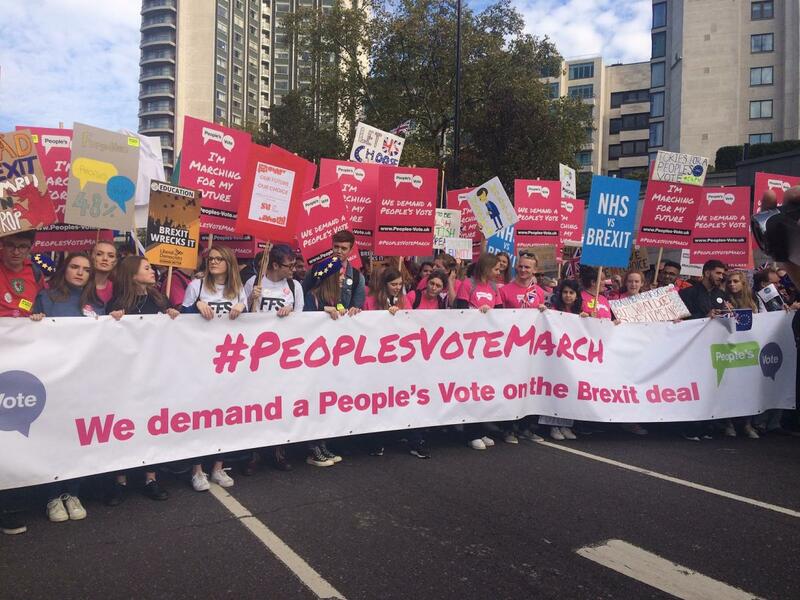 This comes as the People Vote’s March organisers claimed more than 560,000 anti-Brexit campaigners joined the march through London calling for a second EU referendum. The People’s Vote March, also called the March for the Future, set off from Park Lane on Saturday midday and finished at a rally in Parliament Square with speeches from Mayor of London Sadiq Khan and Celebrity Chef Delia Smith. In Parliament Square, videos of Brexiteers Boris Johnson and Jacob Rees-Mogg were booed by the crowds.